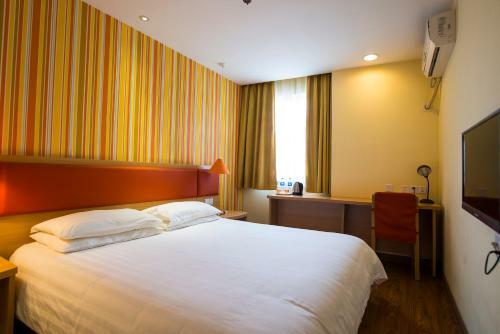 Отель Home Inn Shanghai Xinzhuang Metro Station South Square Wanting Road находится в городе Shanghai. Home Inn Shanghai Xinzhuang Metro Station South Square Wanting Road is set in Shanghai, 13 km from Jing'an Temple. Each room at this hotel is air conditioned and comes with a TV with cable channels. You will find a kettle in the room.